Pyr's Fall list has started appearing on Amazon along with a few of the covers. The first three are the Steampunk covers, which are all winners and exude the fun ascetic of the genre. The last 3 are for James Barclay's series Legends of the Raven, which sport some gorgeous and action packed art. Again these may not be the final versions and I'll add artist credits as I find them. UPDATE: Artists added via Lou Anders. The Buntline Special by Mike Resnick is the start to his Weird West series. The art is very reminiscent of Dr. Grordbort. If I wasn't already interested in this it would have turned into an emphatic YES! This is guaranteed to be a wild and fun ride. December release. 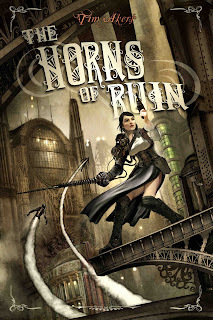 The Horns of Ruin by Tim Akers is the start to a new world for Akers after his Heart of Veridon, which started him on the Noird path. Ohh, rocket packs! I love the detailing on the lettering. November release. 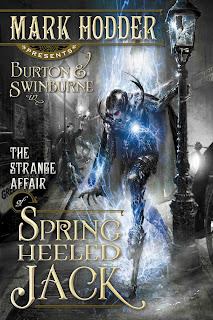 The Strange Affair of Spring Heeled Jack by Mark Hodder is the first in the Burton and Swinburne series and also his debut novel. Wow. This cover is electric. It is almost a little too busy what with the long title and series name, but it works miraculously well with the art. September release. Elfsorrow, Shadowheart, and Demonstorm by James Barclay are the first three books in the Legends of the Raven series, which Pyr is bring over to the US for the first time in an accelerated published schedule with one a month starting in November. Another jaw dropper set of covers and they are much better than their UK counterparts as the designs are very much in the vein of Forgotten Realms. I have a feeling the artist is Raymond Swanland as it has the feel and color palette of his work on Glen Cooks's Black Company omnibuses. Look for my interview with Lou Anders, the Editorial Director of Pyr, who discusses quite a few of these books. 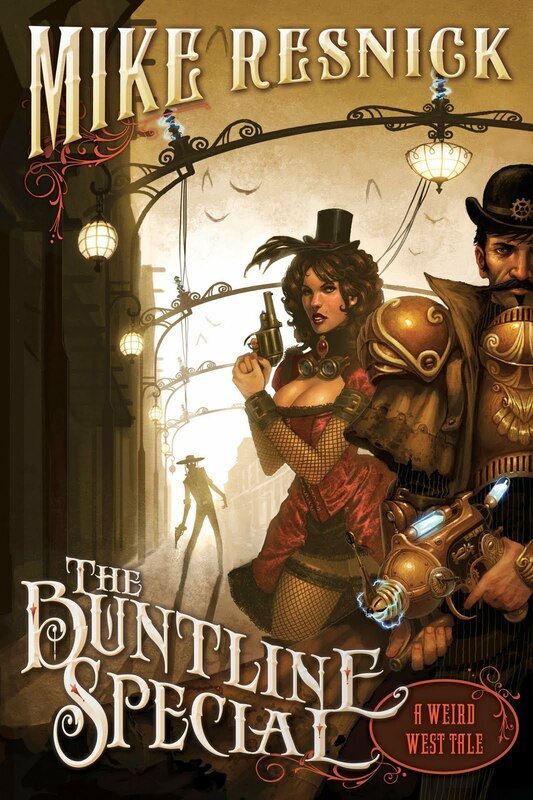 The Buntline Special artwork is by J Seamas Gallagher. Design by Nicole Sommer-Lecht. 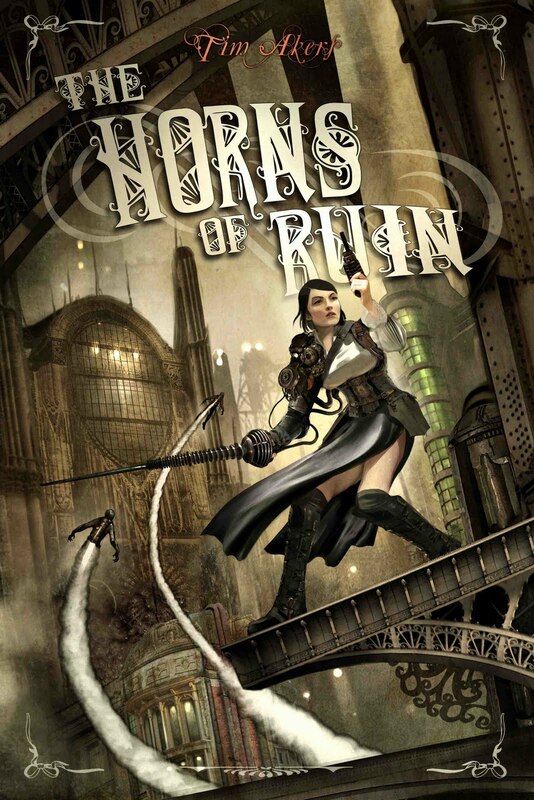 The Horns of Ruin is art and type by Benjamin Carre. 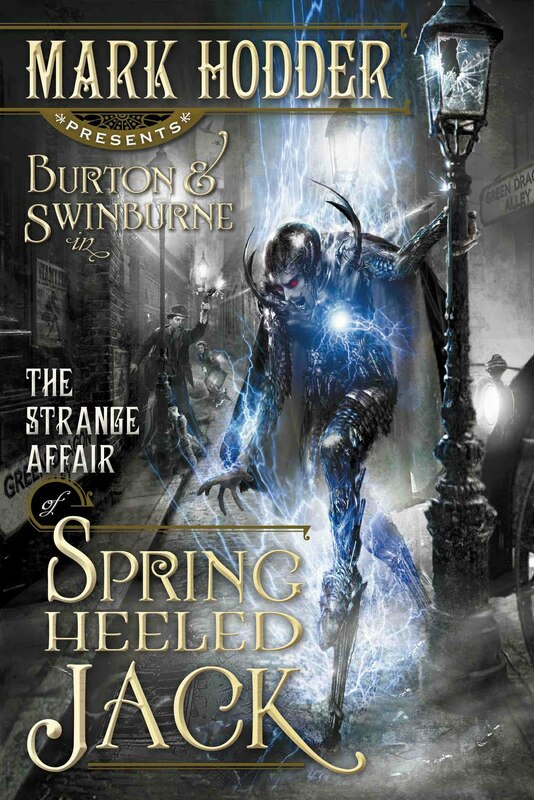 The Strange Affair of Spring Heeled Jack is art by Jon Sullivan, design by Nicole Sommer-Lecht. The three Legends of the Raven covers are indeed Raymond Swanland, design by Nicole Sommer-Lecht. I'm working on a blog post for the full season with art credit, but am waiting on one final cover (Vampire Empire). Thanks, Lou. I've updated the info for each. Glad I got at least one right. Keep up the awesome work. Hey, thanks for including the designer's name. Much appreciated! (By me and Nicole). Thanks for the link, but it goes to the wrong Mark Hodder. My website is www.sextonblake.co.uk. At some point I hope to create a Burton & Swinburne website, but at the moment I'm too busy writing the second volume: BURTON & SWINBURNE IN: THE CLOCKWORK MAN OF TRAFALGAR SQUARE. @Mark - Fixed. Thank you. You might want to put some sort of mention about the books on Blakiana. Hello! I am a new follower. I have seen a few of others I follow, following you and thought I would check out the blog. Great stuff here! These covers are amazing looking and so original. I just hope the covers are affiliated with the books. Thanks for coming by. I hope you enjoy what you see here. Thanks for posting the images... saw them on the blog before seeing them on PYR's site... cant wait to get them,, great to have something to look forward to..